Deco Ceramic Tiles feature colorful glazes, smooth fronts, and safe, rounded corners and sides — great for classrooms! They are available in four color variety mixes — Cool, Bright, Warm, and Pastel — each weighing 1 lb. 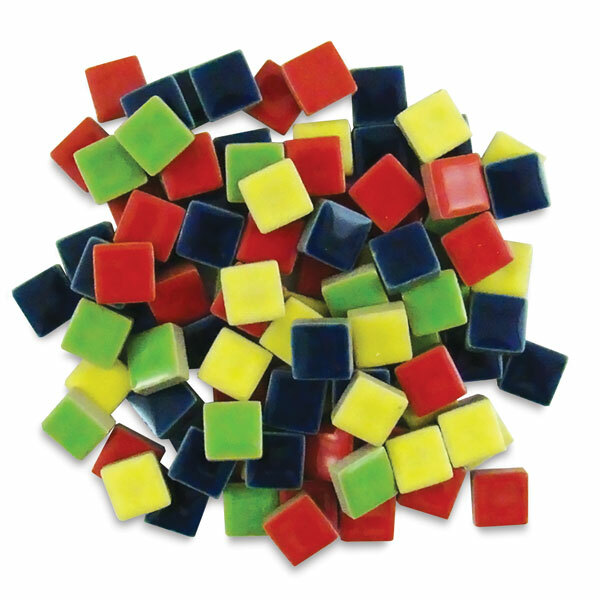 Tiles measure 3/8" (approx 1 cm) square and are approximately 1/8" (3 mm) thick. ® Diamond Tech is a registered trademark.™ Jennifer's Mosaics is a trademark.